Former Australian skipper Mike Hussey has predicted that Ben Stokes will steal the show on his home turf during next month's Champions Trophy, saying that the England all-rounder can have the same seismic impact as South Africa heavy-hitter Lance Klusener had in the 1999 World Cup. 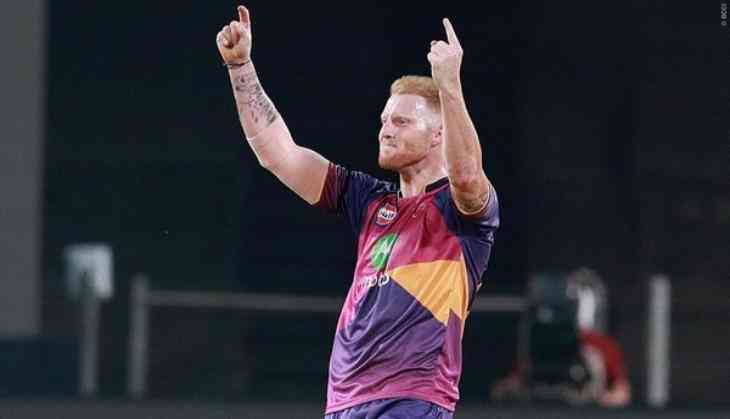 Stokes grabbed eyeballs in the 2017 Indian Premier League (IPL) auction held on February 20 at the Ritz-Carlton hotel in Bengaluru as he was snapped up for a record sum of Rs 14.5 crores by Rising Pune Supergiants. The 25-year-old did justice to his selection as he starred with both ball and bat, blasting a bruising century to guide Rising Pune Supergiant to a thrilling five-wicket win against Gujarat Lions and taking 10 wickets in as many matches as the T20 lucrative tournament draws to a close with his team set to feature in the playoffs. It was Stokes batting display and extraordinary form in IPL that left Hussey to believe that the all-rounder would be the standout player in the upcoming 50-over tournament to be held in England and Wales from June 1. Hussey, who is popularly known as 'Mr. Cricket', believes Stokes is "right up there" with the most damaging stroke-makers he has witnessed in the two decades he's been involved at the elite level. "I've watched him in India in the IPL and he's playing really well. I feel like his batting has improved immeasurably, he's now starting to really work it out. And with the experience he's getting better as a short-form bowler as well, he's more confident in his own ability," cricket.com.au quoted Hussey as saying. Describing Stokes as an `incredible` talent, Hussey insisted that the former has all the assets required to emerge as a really dangerous player to face. "He's an incredible talent, incredible power. Once he starts figuring the game out in the mind, how he plays best and with a bit more experience it's a really dangerous combination. All the assets are there and if his confidence is up and gets the opportunity to play well then he could get on a roll and be really hard to stop," Hussey said of Stokes, whose unbeaten century against Gujarat Lions brought back memories of Klusener's heroics in the 1999 World Cup in England where the man is known as 'Zulu' was crowned the player of the tournament.